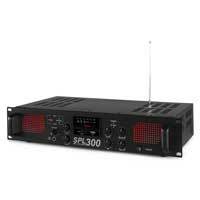 Introducing the fantastic SPL-300VHF from Skytec. This stereo power amplifier is equipped with the latest gadgets with a built-in wireless microphone receiver (microphone included), saving users the need to purchase an additional wireless microphone system. 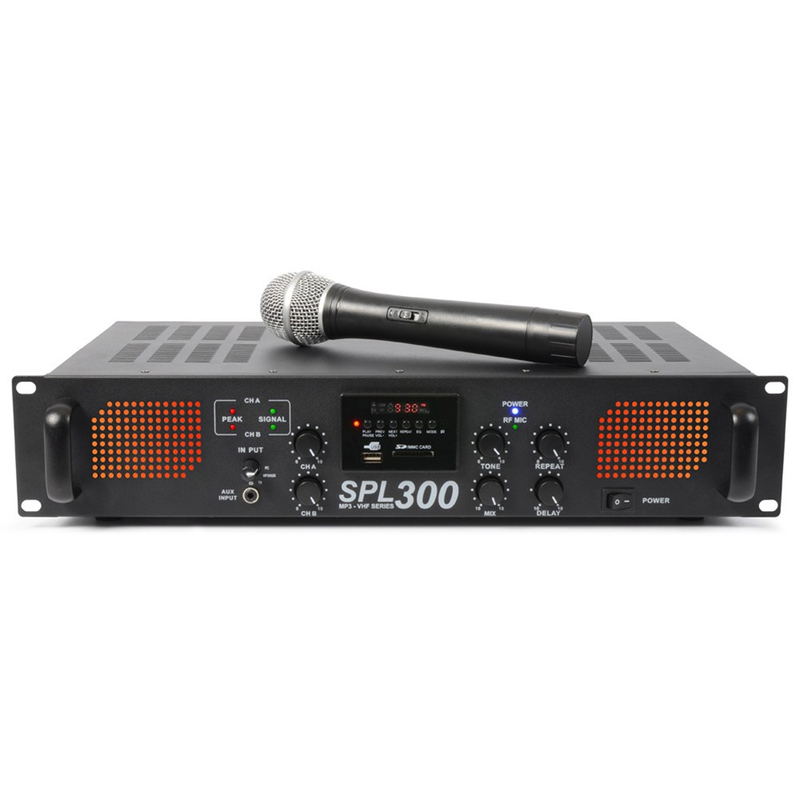 Users can also enjoy USB stick connectivity, allowing you to play your music directly from a flash drive or even listen to your favourite radio station via the built-in tuner. 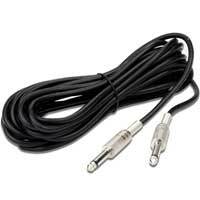 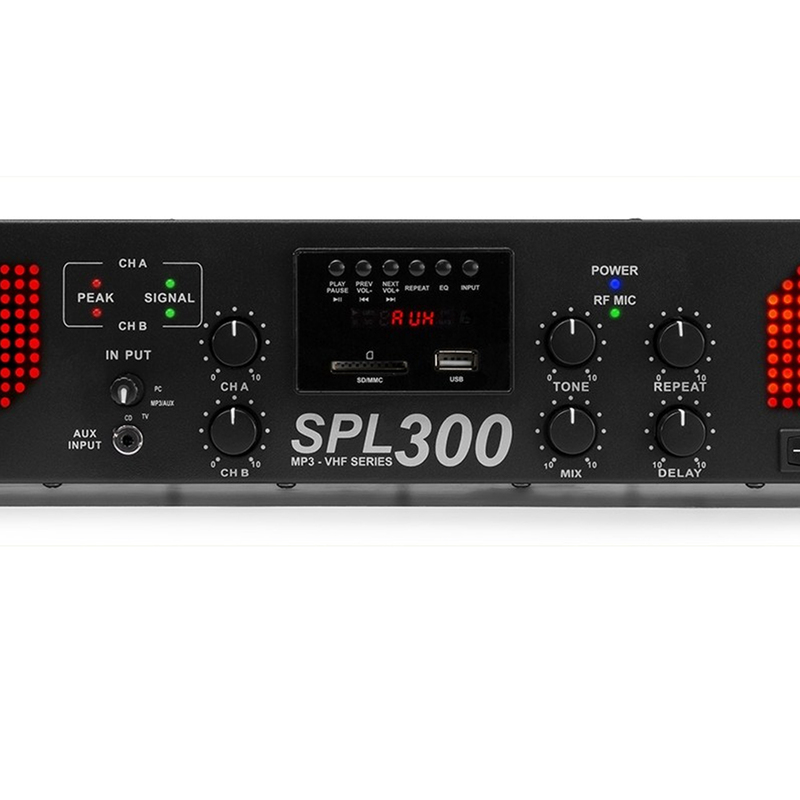 With 3 line inputs located at the rear of the amplifier for connecting laptops, CD players, MP3 players and more. Jam-packed with useful features and providing a suitable power source for smaller speaker systems, this amplifier is perfect for small karaoke parties, house parties, small pubs & bars and home use. 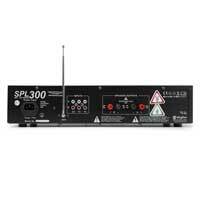 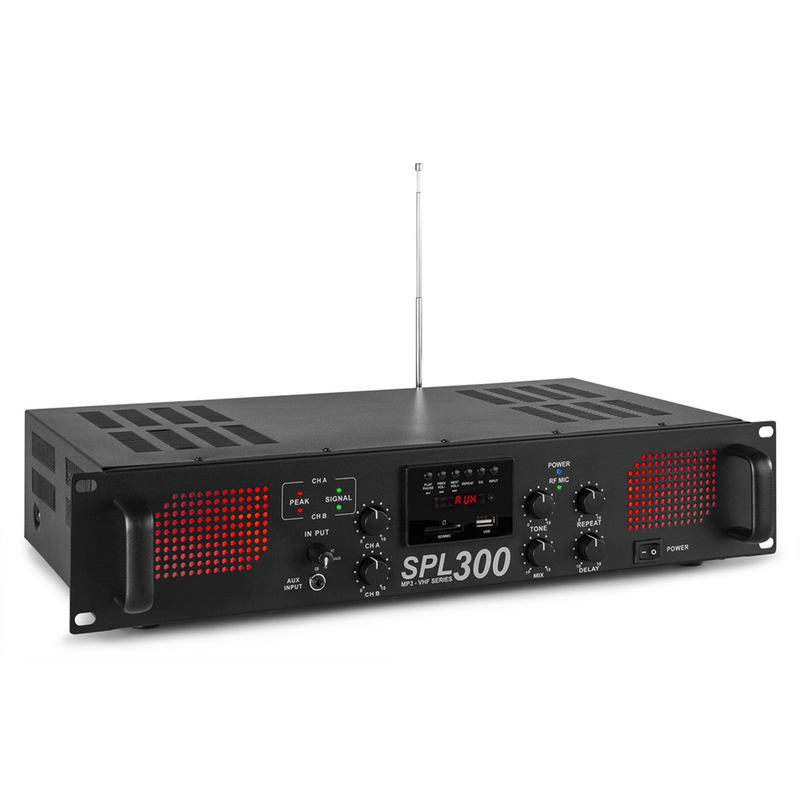 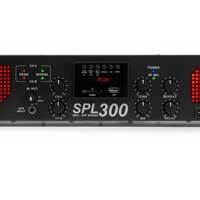 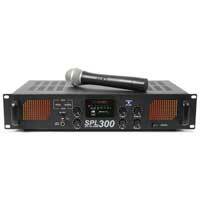 Get your hands on the affordable SPL-300VHF today!